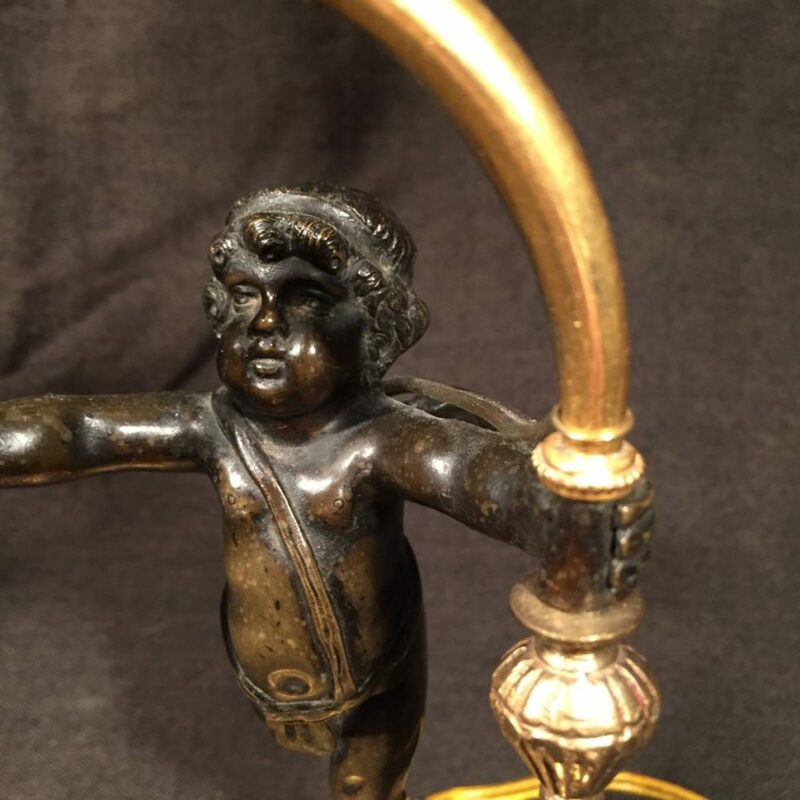 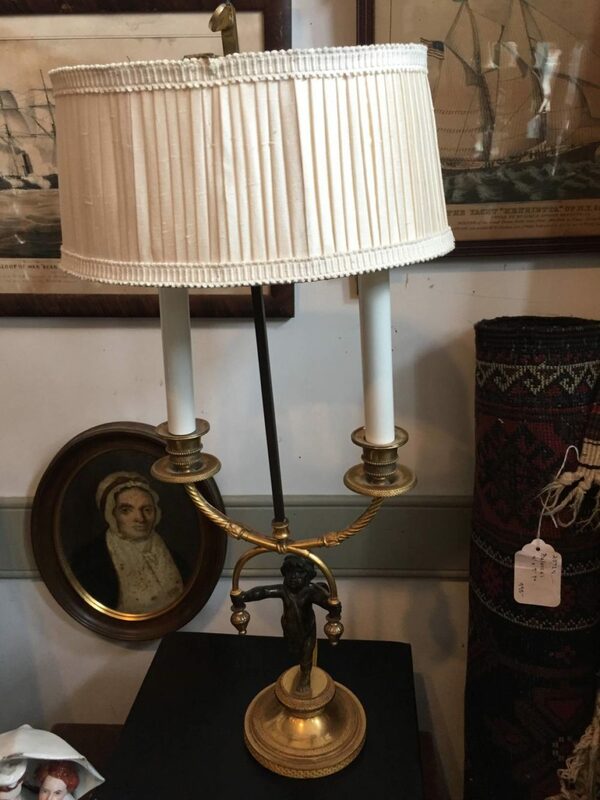 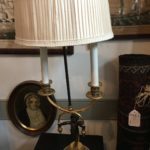 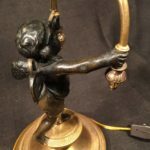 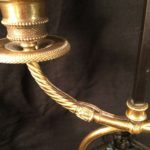 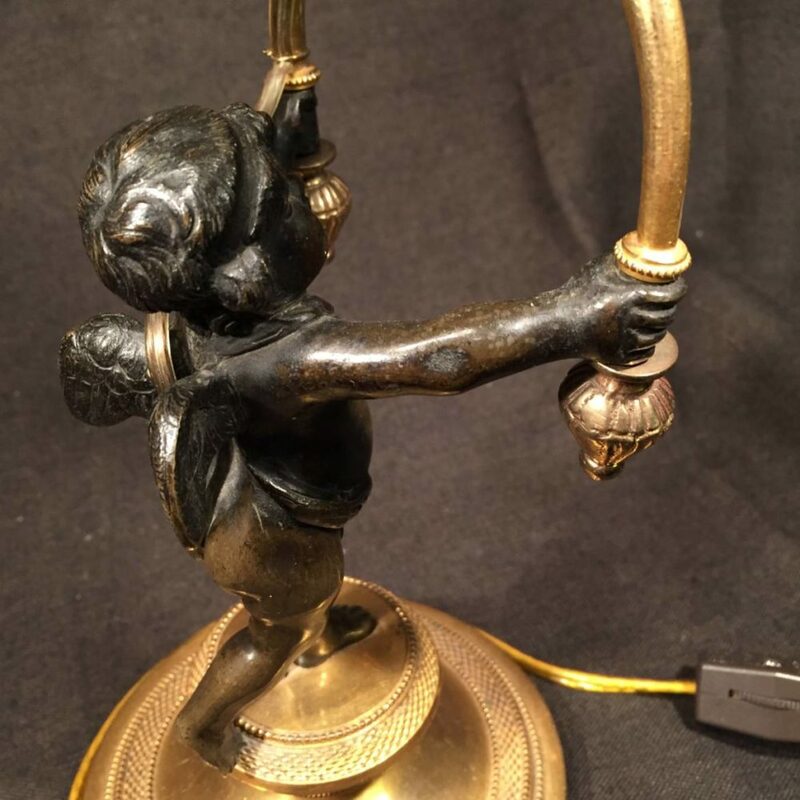 A fine quality lamp with a bronze putto figure holding gilt bronze candle arms. 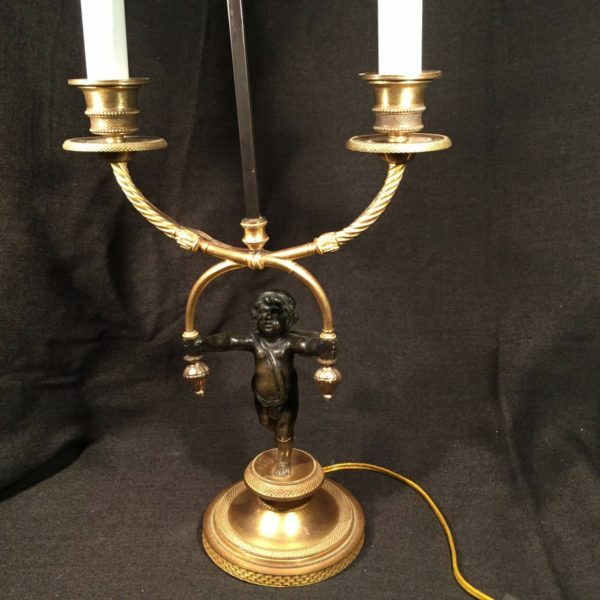 Now electrified. 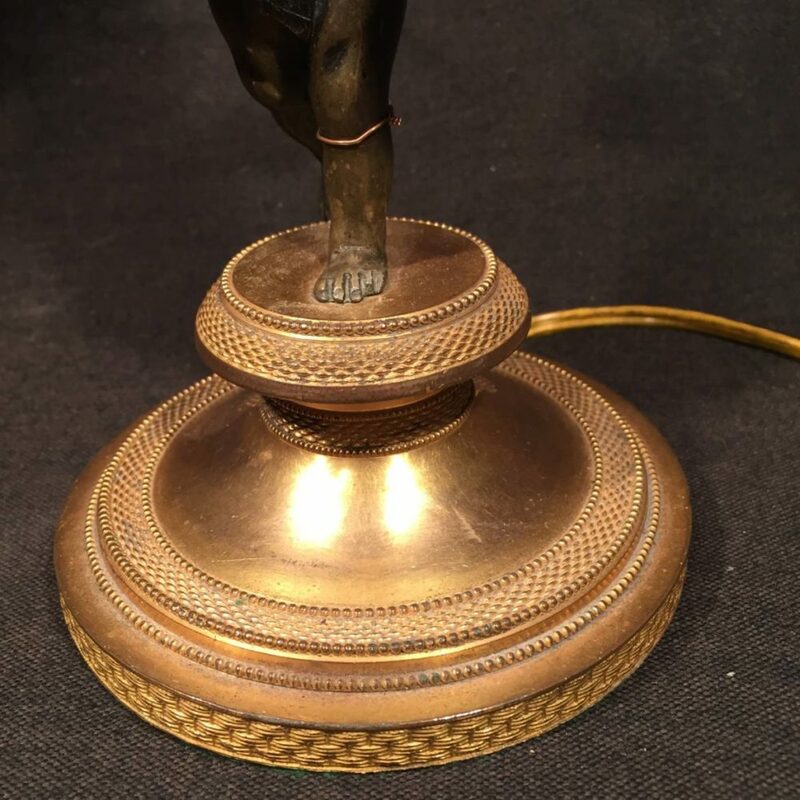 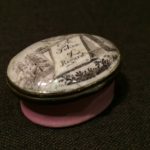 12.25 to top of candle cups"